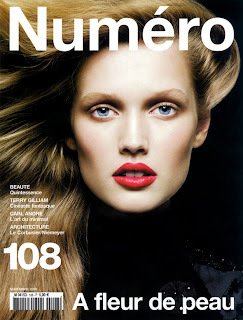 With Berlin Fashion Week about to kick off, I thought it would be timely to do a profile on Germany's Toni Garrn. Nineteen year old Garrn hails from Hamburg and was discovered in 2006 by Modelwerk's owner and agent Claudio Midolo at a public viewing of a fashion show during the Soccer World Cup. Garrn's meteoric rise in the modelling arena has been unprecedented. 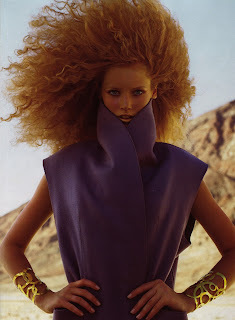 Currently signed with Women Model Management in New York, Garrn's first show season in Spring/Summer 2007 saw her walking as an exclusive for Calvin Klein, opening and closing for the show. Standing at 180 cm in height, the statuesque blonde beauty has since walked for Gucci, Versace, Prada, John Galliano, Karl Lagerfeld and Fendi, amongst others. 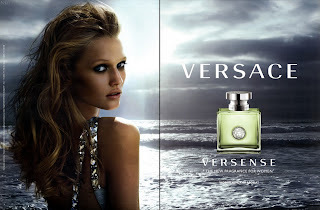 In 2008, Garrn replaced Natalia Vodianova as the face for Calvin Klein and has since landed blue chip campaigns for Emporio Armani, Hugo Boss, Prada, Fendi, Etro, Chloe, Joop, Versace Versense Fragrance and Shisheido cosmetics. With the current industry shift in aesthetics back to unadulterated beauty, Garrn's classically beautiful features and perfectly translucent skin off set by startlingly baby blue eyes, have seen her photographed by the likes of Steven Meisel, Mario Testino, Mert Alas & Marcus Piggott, and Karl Lagerfeld. Garrn has only recently committed to modelling full-time, having completed her final year of schooling in 2010, and looks predestined for even greater success.